La Vie Fleurit: Win; La Vie Fleurit's 2nd B-day Presents! Win; La Vie Fleurit's 2nd B-day Presents! Yeaaahhhh La Vie Fleurit is celebrating it's 2nd Birthday today ... Woop Woop! Ofcourse we want to share this with our closest followers and friends, so we're giving away a bunch of presents, because if it wasn't up to you guys we wouldn't be partying as hard as we do now ;)! So thank you for all your support and let's drink to many more years to come! 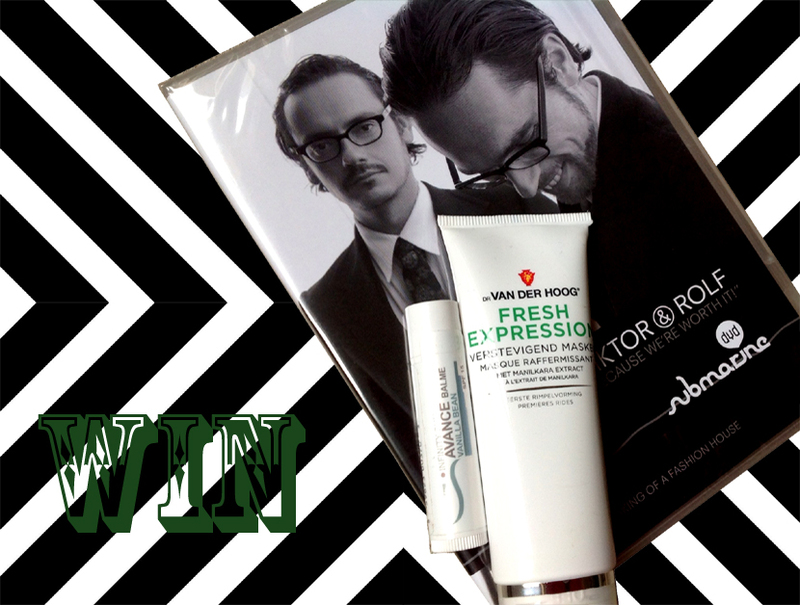 What do you have to do to win this give-away, which contains a Viktor & Rolf DVD, a Dr Van der Hoog Facemask and a Infinity Sun Vanilla Bean Lipbalm? Like I said, I love you guys! However, if you love La Vie Fleurit as well, you may always nominate the blog for the Weekend Knack Blog Awards (here), in which case you would give me the biggest B-day present ever! Wauwieieieie wat een super gave prijs geven jullie weg zeg ik doe heel graag mee !!! Congratulations! Oh, yes I love and like to watch to dvd from this to great fashion designers and the mask for my face clean it well, I like lipbalsm because I'm addicted of it! I hop that we'll can enjoy for many more years from you blog because it's great to everything about beauty & fashion etc.! I follow and like your blog, fb etc..Have a great day!